The Crafty Wonderland Colossal Sale hands down is the biggest and best craft sale in Portland. They do have a store located downtown Portland but the Colossale Sale is huge. It gets bigger every year and the goody bag is well worth waiting in line. I went with a couple of special gal pals Leah and Spencer. I was so nervous about getting there early enough to get a good spot in line, and when we finally got there.. Guess what? We were first in line! Woohoo! 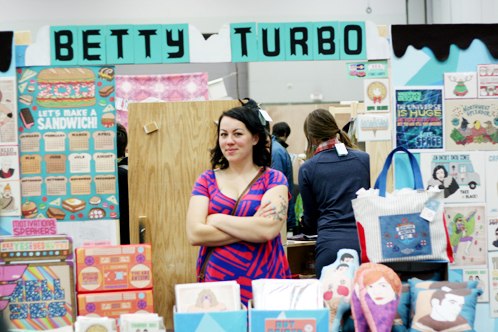 Betty Turbo :) All of her artwork- makes me laugh just thinking about it. 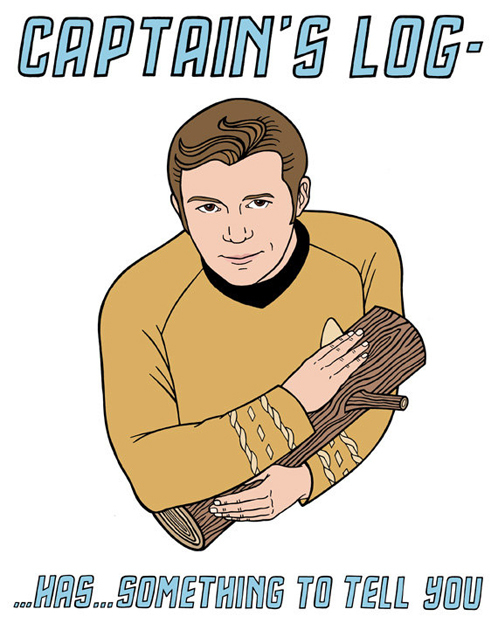 I got this print for Tim's little brother, who next to my husband is one of the funniest people I know. Three Bad Seeds. I got this in the goodie bag and just adore it. Nora tested and approved. 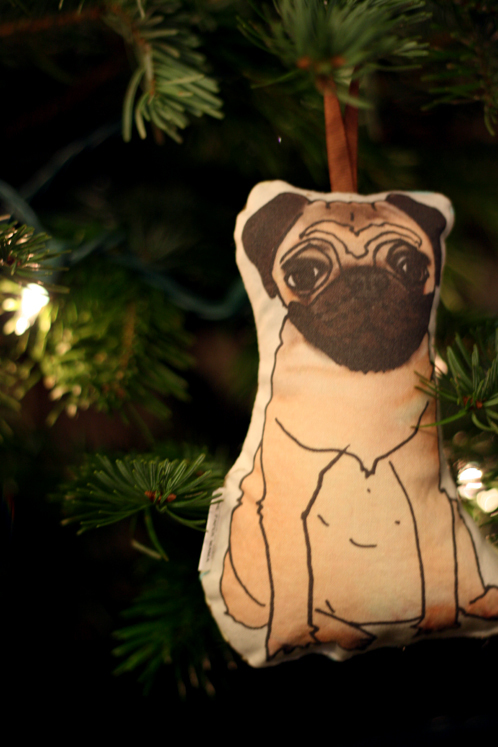 We had so much fun at Crafty Wonderland this year and can't wait to go next year. Portland Series: I am born and raised in the ever beautiful and completely strange Portland, Oregon. I get emails from readers coming to visit Portland and they want to know "Where are the best places to stay, eat, drink and be merry!" I decided to start this series- all about Portland. So I seriously highly recommend trying these places and I want to hear all about it if you go! This sale sounds amazing Erika and like the exact thing that you would adore. These photos of Eleanor are so cute too, these places sound awesome and really makes me want to visit Portland. Looks like so much fun! What else was in your goodie bag? How have I never heard of this event before! I realized Monday I missed the event. I am so bummed. That's what I get for not putting it on my calendar. 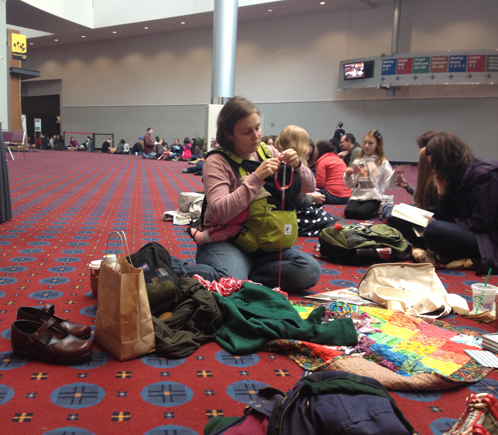 Oh, this is so great to read a review--my coworker went to both Crafty Wonderland AND the Design*Sponge Portland Bazaar last weekend but I missed both this year. =( Sounds amazing! Thanks for showing off Portland in these posts, too! Fun! 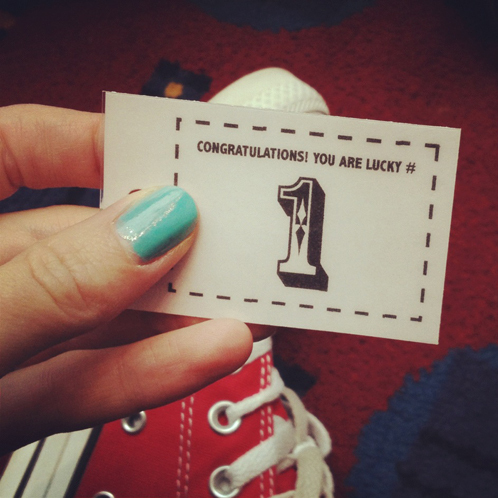 How early did you go to get first in line? One of my friends went early, but there was nearly 800 in front of her. I wanted to go so badly... but, was swamped this weekend. I hope to go next year! I am glad you had a good time! Wow! This sounds so fun! I didn't know about it at all. I'm going to have to try to go next year. How early did you get there?